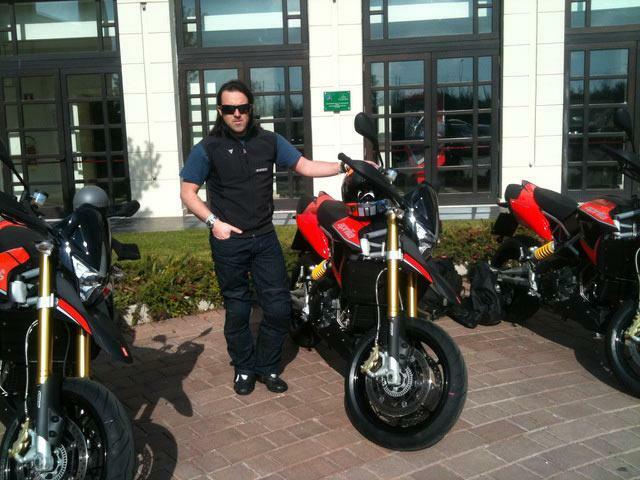 ﻿ 2012 Aprilia Dorsoduro 1200 first ride! "We’ve got the perfect roads for this type of bike: switchback hairpin after switchback hairpin. For 2012 the Dorsoduro 1200 has shed some weight – over 2kg just from the wheels alone – while Aprilia has also added three-way traction control which is coming into its own on some sections of road where there is loads of volcanic ash.